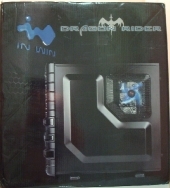 From IN WIN one the backs of dragons comes to us the Dragon rider case. 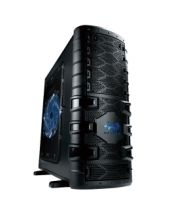 The Dragon Rider is part of IN WIN’s ‘Destiny extreme series’ case line filling in the gap of E-ATX support with a full size tower. 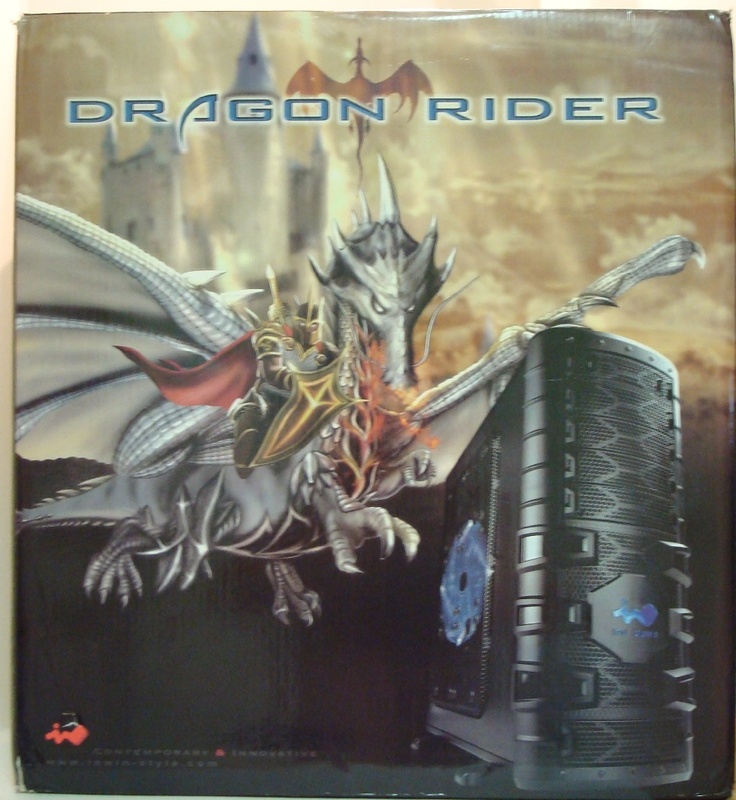 The Dragon Rider has a number of cooling options designed to keep your components cool and quiet which I will elaborate on later in the review. 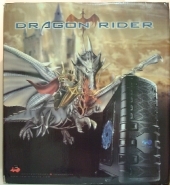 Best of all with the Dragon Rider you don’t appear to have to give up function for style, a trait that is rare with the large size case lines. This case is obviously targeted at enthusiast PC builders or gamers both would be very happy with its distinctive design and nice features. The price of this case at the time of the article is around $150 read further to see if its truly worth it though. The subtle armor of this dragon is deceiving. Testing a case is much like testing any other piece of hardware, you load it up chock full of components and see how it runs. With elegance, power and control firmly in its grasp, the Dragon Rider is designed to protect and cool even the most demanding of components. Enveloped totally in black, the dark design is only punctuated with bolts of striking yellow to create a subtle but distinct appearance. The unique side panel shield design creates the necessary space for tidy cable routing and multiple fan mounting points for up to 11x 120mm fans make it the ultimate chassis for cooling customization. Pre-fitted with a large 220mm side fan for effective graphics card cooling, the Dragon Rider also features additional front, top and rear fans for fantastic cooling potential. With the latest eSATA and USB 3.0 front panel ports, a back-supported CPU cooler removal hole, anti-vibration hard drive rails and tool-free installation, the large E-ATX Dragon Rider is packed with the latest enthusiast-class case features. The packaging evokes dramatic images of the subject of the cases name. 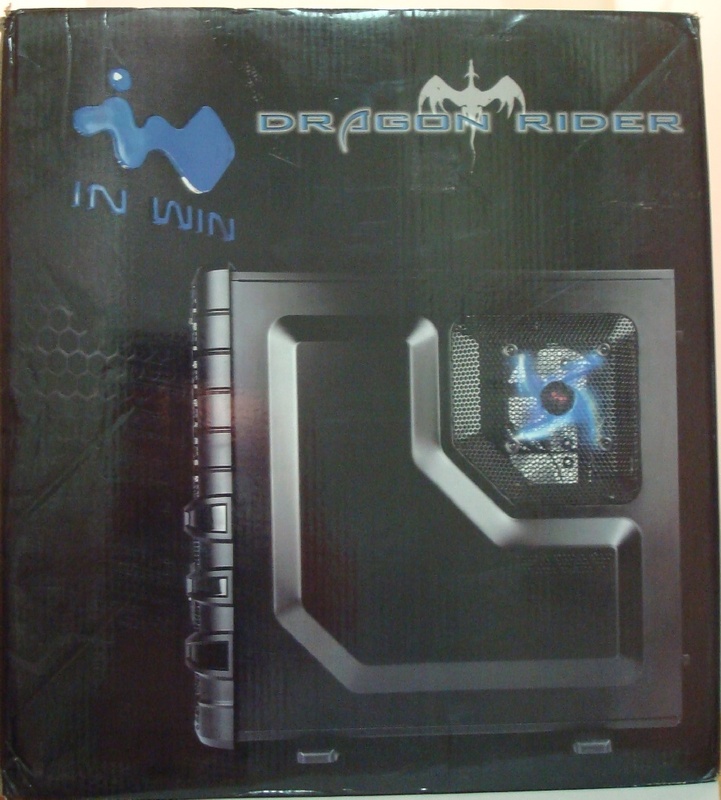 IN WIN does its best to make a case exciting, and while I applaud the effort I would probably have taken a look at this case even without the dragon just from the overall design apparent in the images on the box. The feature list of the Dragon Rider is rather nice, with some of the highlights being a plethora of top ports ( USB2,3 Esata, Firewire, and audio) Other than that you can see under ‘ Thermal Solution ‘ that this case is ready to roll with support for a ton of fans or water cooling.